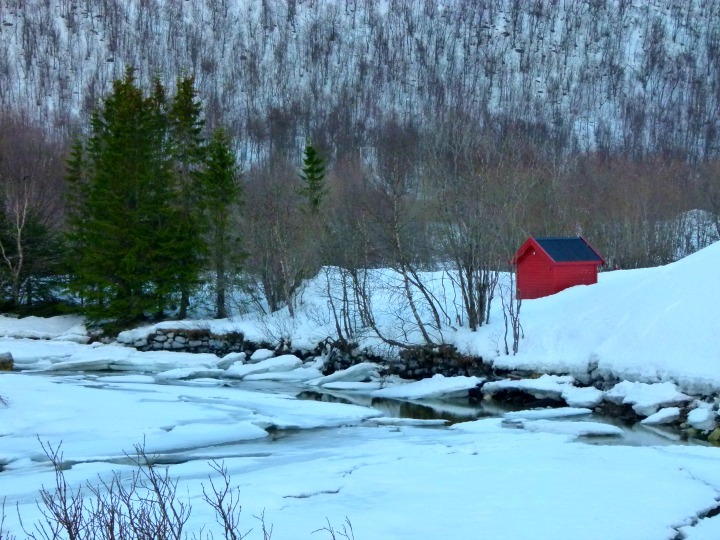 Are you planning to visit Tromsø in winter? Well, as is the case for summer, Tromsø is best explored away from the city and out in the nature. Now understandably, the snow and ice might scare you away from going for a walk or hike but with proper clothing and equipment that you can read all about here, you can very easily explore the most scenic spots in and around Tromsø! Of course, I wouldn't recommend you to hike up a mountain in a metre of snow when you don't have any mountain experience. The danger of avalanches is real and shouldn't be underestimated. I myself have no experience of mountain hiking in winter but I do know a lot of scenic spots in Tromsø that make for a gorgeous stroll, respectively hike, no matter the snow conditions. Or rather, I'd even go so far as to say that these places are even more special when there actually is snow around. I already featured Prestvannet in my hiking guide to Tromsø in summer but Prestvannet is definitely one of those places that's even more gorgeous in winter! Prestvannet is a lake on top of Tromsø Island which gets completely frozen and covered with snow in winter so rather than just taking a stroll around the lake, you can wander all across the lake during the winter months! The valley Tromsdalen on the mainland is a gorgeous area for a hike. Surrounded by Mt. Storsteinen (where the cable car Fjellheisen is situated) and Mt. Tromsdalstinden (the highest mountain in Tromsø), Tromsdalen valley offers scenic views on the mountains and even the city of Tromsø itself. You can find several hiking/skiing trails in the valley for a tour that can last between one hour to a full day. If you need a break, there's a Sami tent (lavvu) nearby that's free for you to use to light a bonfire and have a barbecue. And if you can't get enough of the Norwegian wilderness, you can even book a cabin at Tromsø Camping for your stay, which is situated right next to the hiking trails of Tromsdalen! My favourite hiking trail on Tromsø Island is the ski trail called Lysløypa ("the illuminated trail" cause it's lit in winter). The trail crosses the entire island so if you want, you can go from the southern to the northern tip of Tromsø which is a distance of 11 kilometres. On the way, you'll pass the ski jumping tower close to the university which offers you a free and spectacular view of the entire area from above. If cable cars aren't your thing or if you think that the price of it is a bit steep (which is totally understandable! ), then the ski jumping tower is a great alternative. You don't have to walk the entire length of the trail to reach it though. You could simply take a bus to the university and start your hike from there. If you're lucky, you might even spot a reindeer or two that are being held close to the trail for research purposes. Caution though: Watch where you're going as you share the trail with skiiers who don't like it if you walk on their tracks! The trail underneath the power lines on the southern end of the mainland is one of the lesser known trails for tourists. I live in the area and this is one of my go-to spots for taking my Instagram pictures. The trail runs from the cable car station all the way to Solligården (aka the very end of the city border). It's a bit tricky to reach if you're unfamiliar with the neighbourhood though, hence why it's more popular with locals. Simon and I had to figure it out ourselves when we moved to the mainland last year and climbed up very steep trails without knowing of less steep ones at first. Good that you have me to share my secrets with you, right? The easiest way to reach the trail would be either to start at Fjellheisen cable car station or at Reinen school. There's parking/bus connections at both places and all you have to do is walk uphill a bit until you can find the trail to your right. Kaldfjord is a little village on the island Kvaløya (the whale island) and it's a great spot to maybe spot the whales in winter if you don't want to pay for a whale safari. Admittedly, don't get your hopes up. Simon and I went to Kaldfjord last winter after being told that the whales could be seen from the beach. We spend a whole afternoon there but didn't see anything. However the views from Kaldfjord are absolutely gorgeous! Mandelasletta is one of my favourite places in my neighbourhood, in summer as well as in winter. There's a little trail at the waterfront which makes for a nice Sunday stroll. The views onto Tromsø Island and the bridge are stunning and even though you might find yourself sitting at the waterfront and enjoying the scenery more than you'd actually be walking, I just had to include the place in this list! Kvaløya has many fantastic hiking trails but not all of them can be reached by public transport and not all of them are suitable if you're new to hiking in snow. There are however hiking/skiing trails and you can reach them very easily from the ski stadium. The area is absolutely gorgeous and a real winter wonderland with views towards the surrounding mountains and also towards the fjord. I was lucky enough to experience an absolutely spectacular sunrise there right after polar night ended so believe me when I say that Kvaløya is a really special place to be during winter! I hope this post gives you a bit of guidance as to where you can experience Arctic landscapes and stunning views in Tromsø without going for a guided tour or having to rent a car. I mean, travelling up here is expensive already so I know you appreciate learning more about all the free things to do in Tromsø. 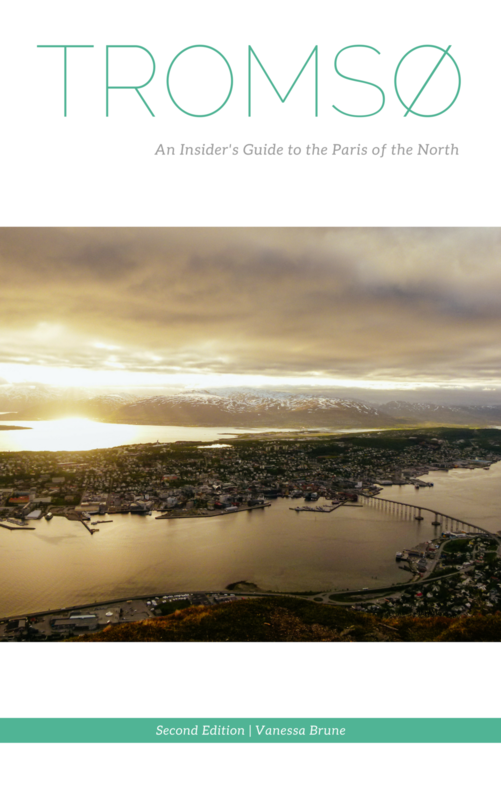 If you're interested in reading more, have a look at more Tromsø posts below and download the full guide to Tromsø with detailed info on locations and transportation here. 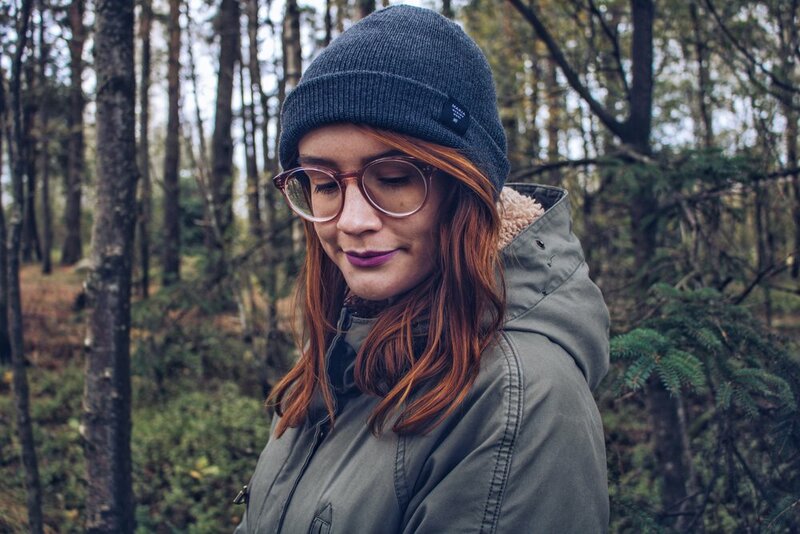 Do you enjoy going for a hike in wintertime?